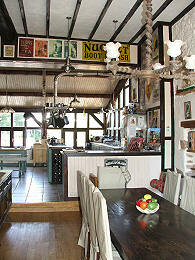 House for Sale France - these words conjure up something different for nearly everybody. A cottage in the country? 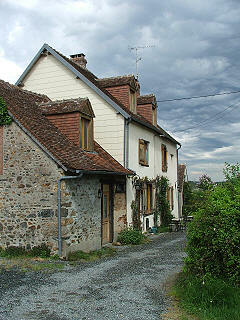 A traditional village house with friendly neighbours and a boulangerie just down the road? A restored farmhouse at the end of a country lane? Maybe a house surrounded by parkland with the river running below? Or an authentic townhouse with elegant, spacious rooms? 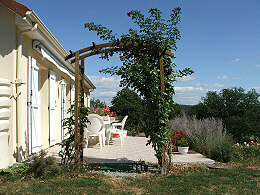 For many people, their perfect 'House for Sale France' is a modern bungalow not too far from shops and amenities. You will find all of these and more in this price range. Many of the homes listed here are ready to move into, some of them having undergone a high standard of renovation. 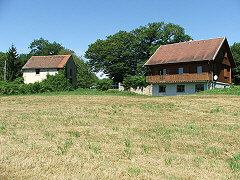 We are also delighted to offer village properties consisting of a habitable house and extensive outbuildings that could be converted into holiday accommodation if you require a home and an income in France. Creuse continues to offer a wide variety of properties at a reasonable price. 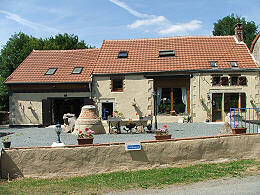 And with the more recent price reductions, a Creuse house for sale in France provides terrific value for money. 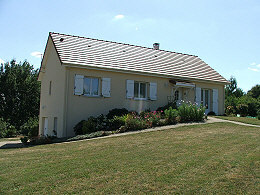 Built in 2009, a villa style house on a full basement. Accommodation comprises lounge, kitchen, 3 bedrooms, bathroom and WC. Energy rating: C. Spacious garage and cellar in the basement. Patio at the back overlooking a magnificent view. On the edge of a pretty village right in the countryside. Local shops 5 minutes away. One property comprising a main house, an attached house and a studio apartment. A wonderful country residence offering either a large family home or a commercial opportunity. The main house: magnificent open plan reception and kitchen, veranda, mezzanine office, master bedroom with en-suite bathroom/WC. 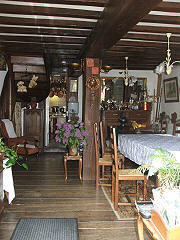 The attached house has been used as a gîte: open plan lounge and kitchen, 2 bedrooms, bathroom/WC. Studio: open plan room: lounge/kitchen/bedroom and bathroom. Below the studio is a garage, workshop and utility room. Front driveway and back garden. It is at the heart of the Three Lakes, near the idyllic setting of Bourg d'Hem. Habitable chalet home plus traditional stone house to renovate in a secluded location on 17.5 acres of pastureland. 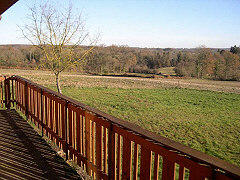 Lounge with balcony overlooking the countryside, fitted kitchen with internal appliances, 3 double bedrooms and 2 bathrooms. Full basement includes garage, utility, cellar and bedroom/office. Lovely characterful property in excellent condition. 1st house - lounge/diner, fitted kitchen, 3 bedrooms with ensuite facilities. 2nd house - lounge/kitchen/diner, 2 bedrooms with ensuite facilities and converted attic. 3rd house to renovate. Independent double garage and garden. Large family home or bed and breakfast. Early viewing advised. Please contact us for further information and photos of the above properties. If you have any questions about your purchase of a house for sale France, we can help. We hope you will find your 'House for Sale France' in our current listings. To receive details of new properties as they come onto the market, please subscribe to our RSS feed (buttons and information at top right) or register your requirements with us.